I have witnessed a new approach recently in an area of theological gymnastics at the gym of the Jewish Adventist Friendship Centre on Face Book and also on the web page of Beth Shalom Seventh-day Adventist[1a]: Two gems found in articles presented by Pastor Paul Lippi in; “Contingent Impurity” and “What Does the New Covenant Make Obsolete?”! 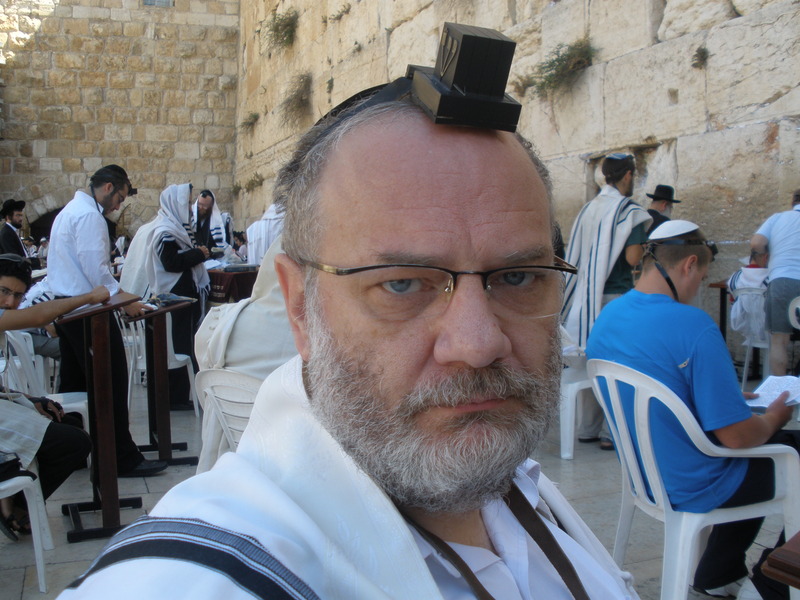 What links the two gems together is the innovative use of the term “ontological” in the article entitled “Contingent Impurity” and a similar notion implied in the other which suggests that non-Jewish Adventist are perfectly justified in how they do or not do things with respect to observance of the Torah. The term “ontological” would appear to be the panacea for everything in the Jewish Scriptures which are at odds and contradict with the ‘new’ teachings of a so called ‘new’ testament. By everything in the Jewish Scriptures, we may be talking for example about tricky things like context and why the gentiles hardly get a mention at all in the Jewish Scriptures. 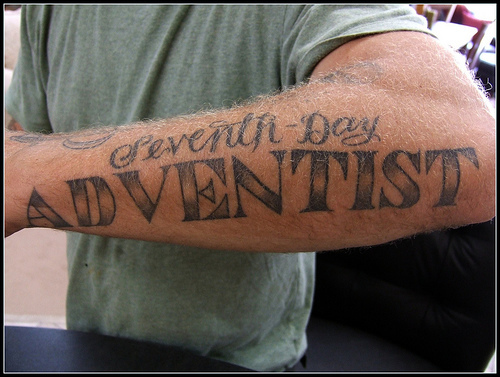 After all we would not like to spoil an agenda that: “our mission at Beth Shalom Seventh-day Adventist Congregation here in Thousand Oaks is to create a constituency for Jewish obedience within the Seventh-day Adventist (SDA) Church”. Especially when the agenda may be at variance with the aims of the SDA church who claim their theology readily annuls anything outside of the 10 commandments? Not to mention the loss of pastoral jobs along with 10% of a congregants gross income too (how is this in the big 10?)! However, in a crazy world of mixed non arbitrary values, for the Adventist Church with respect to the operation and/ or theology of the Jewish Adventist movement, it may be convenient to let the ends justify the means and let those actually poor and/ or impure Jews perform acts of Jewish obedience in an Adventist setting. How accommodating! Now make no mistake here, the Seventh-day Adventist Church and its global mission is to convert anyone of any creed or color, even people who are already Christians to their particular brand of Christianity. After all we would not want any of ‘them’ getting that mark of the beast: Sunday worship, would we? The Seventh-day Adventist Church like other denominations has also jumped on the bandwagon of what is probably the hardest nut to crack of all, namely the conversion of Jews to Adventism[1b]. However, under the guise of interfaith dialogue; areas of identifying common understanding, such as respect, honor, family relationships, justice, love, cooperation, support for one another, can help build bridges between faith groups……..as the Adventists say. Of course if one was to really respect another faith, nationality or religion, one would not attempt to go about converting another to your faith. By default, according to the SDA church, the implication is that faith of another is inferior, as evidenced by the SDA converting you to their faith. The inferiority of another’s faith may be said to not exist by virtue of an ontological argument by the way!? 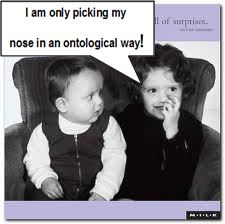 So what is ontology or an ontological position? Ontology deals with questions concerning what entities exist or can be said to exist, and how such entities can be grouped, related within a hierarchy, and subdivided according to similarities and differences. 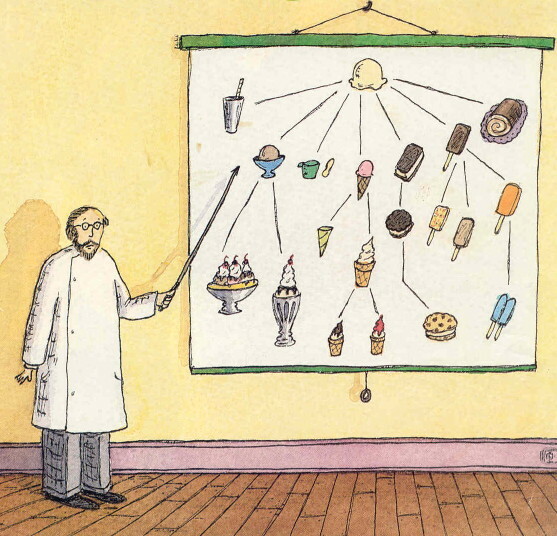 Ontology, in analytic philosophy, concerns the determining of whether some categories of being are fundamental and asks in what sense the items in those categories can be said to “be”. It is the inquiry into being in so much as it is being, or into beings insofar as they exist—and not insofar as, for instance, particular facts obtained about them or particular properties related to them. 26 So in Christ Jesus you are all children of God through faith, 27 for all of you who were baptized into Christ have clothed yourselves with Christ. 28 There is neither Jew nor Gentile, neither slave nor free, nor is there male and female, for you are all one in Christ Jesus. 29 If you belong to Christ, then you are Abraham’s seed, and heirs according to the promise…………14 for he himself is our peace, who has made the two groups (Gentile and Jew) one and has destroyed the barrier, the dividing wall of hostility, 15 by setting aside in his flesh the law with its commands and regulations. His purpose was to create in himself one new humanity out of the two, thus making peace, 16 and in one body to reconcile both of them to God through the cross, by which he put to death their hostility…………. 28 He (Peter) said to them: “You are well aware that it is against our law for a Jew to associate with or visit a Gentile. But God has shown me that I should not call anyone impure or unclean. Wait a minute Peter the Apostle; it’s the Jews who are supposed to be unclean according to Paul Lippi!! A related example to the above may be, the new covenant of Jeremiah 31 as per the article; “What Does the New Covenant Make Obsolete?” Jeremiah 31 shows how the new covenant is yet to be in the future, as both the houses of Israel and Judah have yet to be re-gathered and no mention is made of what bearing the new covenant has for non Israelites. Moreover, Jeremiah is addressing the house of Judah (Jews are from the house of Judah) as the house of Israel had already gone into captivity by the hand of Assyrians. These points from Jeremiah 31 present a problem for the Christian view point established by the New Testament, in particular the book of Hebrews and in general with regard to an evangelical paradigm. The evangelical paradigm is created because previously to be an Israelite was to be a citizen of Israel. The citizen of Israel was either by birthright or by virtue of conversion to become a citizen of Israel [e.g. Ruth]. The rules for governing citizenship surprisingly enough are the laws of the Torah [613 of them just in case you were wondering]. The justification is a long way off from the real intent of Hashem, spelled out in the Jewish Scriptures because Paul Lippi ignores the evangelical paradigm explained above with respect to Israeli citizenship. The problem is that no such evangelical paradigm is mentioned in the Jewish Scriptures. He also ignores the provision of resident status of the non Israelite who abides by laws of the Torah as evidenced by the ‘new’ testament. Further evidence from Acts 15 may also be indicative of the 7 laws of Noah described by the Talmud which serve as the minimum requirement for a non Israelite with respect to the non Israelite obligation to the laws of the Torah. A feature of the messianic age as shown by Isaiah 2, sees non-Israelite nations obeying some of the laws of Torah and in Jeremiah 16:19, 20 the nations pronouncing their dismay to Hashem as to their former ways of worship…..
‘Our fathers have inherited nought but lies, vanity and things wherein there is no profit.’ Shall a man make unto himself gods, and they are no gods? This G-dly wisdom we Jews call Torah, exists as a book within the Jewish people. Everyone knows what those “symbols on your hands” and “on your foreheads are”, just as they know what is to be written on the doorposts of their homes and how to make strings on the corners of their garments. There will always be Jews doing those things. The book has meaning only within the context of our people, our experiences as a people, and the way that our people have unfolded and applied that which we have received. In this respect, the Jewish people do not have the same problem as the gentiles do with respect to the Torah and its observance. Instead, in the absence of acceptance of this G-dly wisdom and historically an almost wholesale rejection of this G-dly wisdom by the Church. The gentile is forced to resort to projecting philosophical ideas and beliefs already emotionally accepted from the teachings of the NT onto the Jewish Scriptures. What a mess!! In the Torah, there are many references to “the strangers who dwell among you” or “righteous strangers.” Jewish society has always made provisions for non-Jews to worship the G-d of Israel allowing either full conversion to Judaism or for people to selectively choose what they may wish to observe of the Torah [whilst dwelling with the people of God] short of circumcision/ full conversion and citizenship. Such a system to allow non-Jews to worship the G-d ofIsrael is even identified in the New Testament with the non-Jews referred to as G-d fearers. G-d fearers are referenced in the New Testament’s Book of Acts in Acts 13:16, which describe the Apostolic Age of the 1st century CE. 2 And it shall come to pass in the end of days, that the mountain of the LORD’S house shall be established as the top of the mountains, and shall be exalted above the hills; and all nations shall flow unto it. 3 And many peoples shall go and say: ‘Come ye, and let us go up to the mountain of the LORD, to the house of the God of Jacob; and He will teach us (some; from מ of מִדְּרָכָיו ) of His ways, and we will walk in His paths.’ For out ofZion shall go forth the law, and the word of the LORD from Jerusalem.